February 12, 2018 Announcement: New Features are Live! We’re on a mission to save our users time and money. You’re already using ShortStack to build lead-capturing campaigns, including contests and quizzes. And we know you’re using our marketing automation features — like autoresponders and scheduled emails — to stay in touch with your customers. Now you can do even more, all within ShortStack. We’ve added a “follow-up” email feature, so you can send time-triggered emails, and added double opt-in for email, which helps you build super strong lists (and will ensure you’re compliant with GDPR regulations). You can now display your campaigns as popups (not those annoying popups that take over web pages — ours are user-triggered) anywhere on your website. 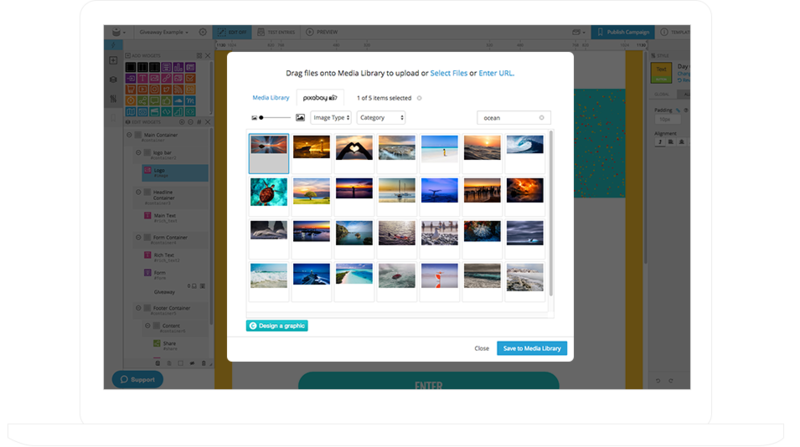 Finally, you have access to an extensive free, and royalty-free, photo library so you can make your campaigns really stand out in the crowded marketing space. Bottom line: We’re making ShortStack more valuable for you, so you can create the most engaging experiences for your customers. Read on to get the scoop about our latest updates. With ShortStack’s newest feature, it’s easy to display your contest, giveaway or quiz as a popup — anywhere on your website. Don’t worry: ShortStack popups are not the style of popup that drops down, slides across, or takes over your screen automatically. These popups will only appear when someone clicks your campaign’s text link, image or button. Popup campaigns take up zero space and are an unobtrusive way to drive traffic to your campaigns, and keep all that contest traffic on your website. 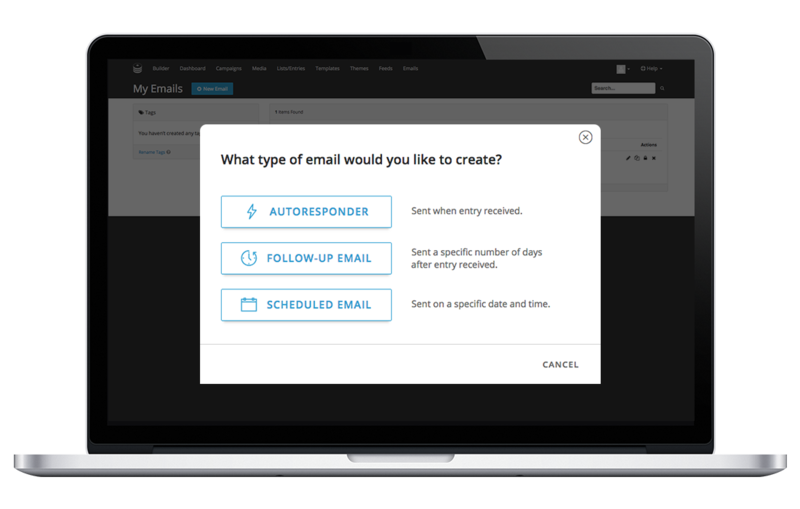 With ShortStack’s new follow-up email feature, you can set up emails to be sent automatically a certain number of days after someone subscribes to your list or enters your contest. Send a follow-up email to thank everyone who entered and send them a reminder to share the contest with friends and family. Send a follow-up email to remind everyone who entered your contest that the deadline for them to collect votes for their photo entry is approaching. A great way to build a strong email list is to make sure recipients really want to receive your email in the first place. 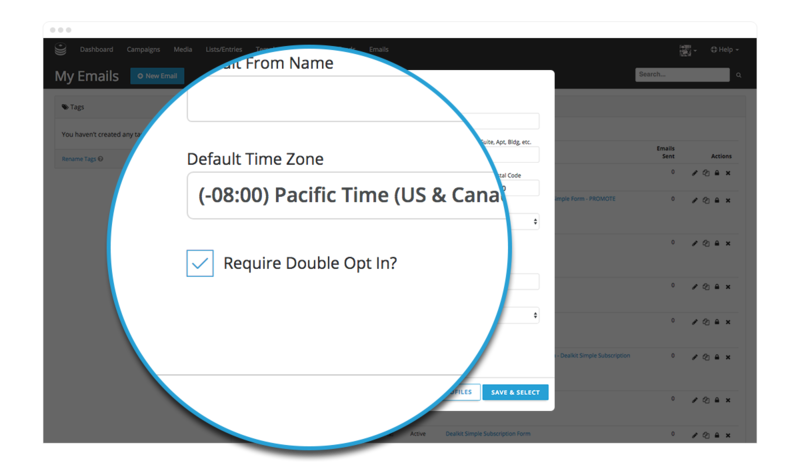 Double opt-in adds an additional step to the signup process: entrants must confirm they want to receive emails from you. Double opt-in also ensures you’re to be compliant with new laws (including GDPR in the European Union). Quality photography is more than pretty pictures: Photos can help you define your brand. ShortStack has added a new library of royalty-free photos — 1.3 million of them — which you can use for free to dress up your campaigns. Here’s just a sampling of photos available on Pixabay.